At this point in the season these two would normally be tending to one or two loon chicks. I knew that they had probably lost their first nest. It happens a lot, and I seldom get to know the cause, as is the case this year. 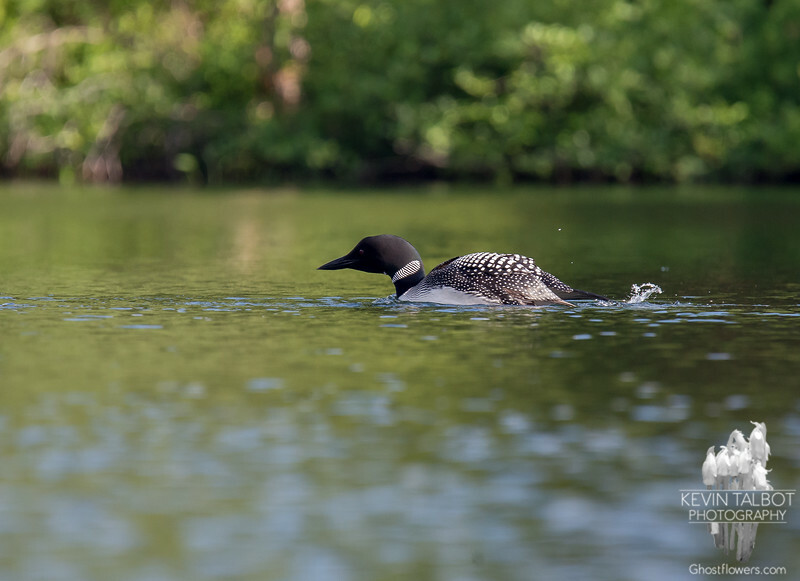 It could be predation, it could have been that the nest was flooded in a heavy rain, it could even be that this old mama loon who has been on the pond raising young for over 24 years is no longer able to produce viable eggs. I just don't know. When I sit and float and visit with them on the pond in my kayak I try to visualize the world from their perspective. The daily struggle it is for them to exist, and the miracle that not only can they exist, but they can bring others into existence and raise them to maturity despite the daily hazards that they face. In past years I have seen them raise young that matured and left the pond. I have seen them successfully hatch their eggs only to lose the little fluff balls to some other unknown disaster, perhaps an eagle, perhaps a snapping turtle, maybe a bad storm, I'll never know.